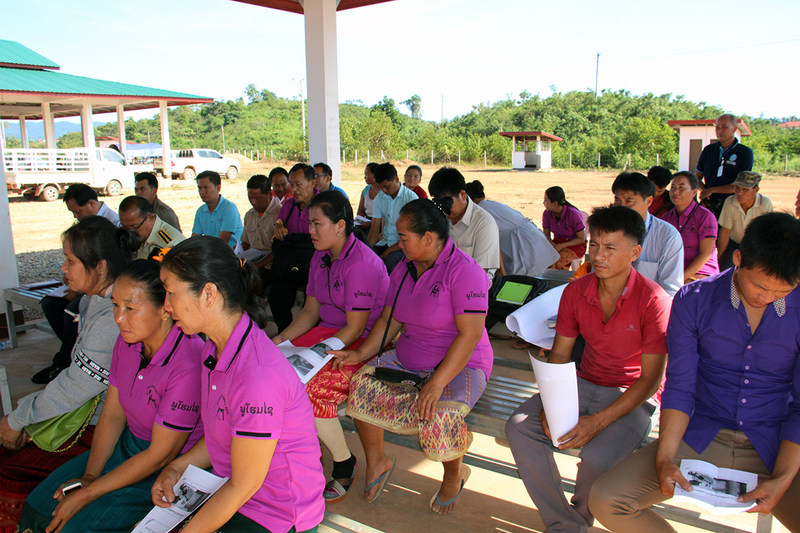 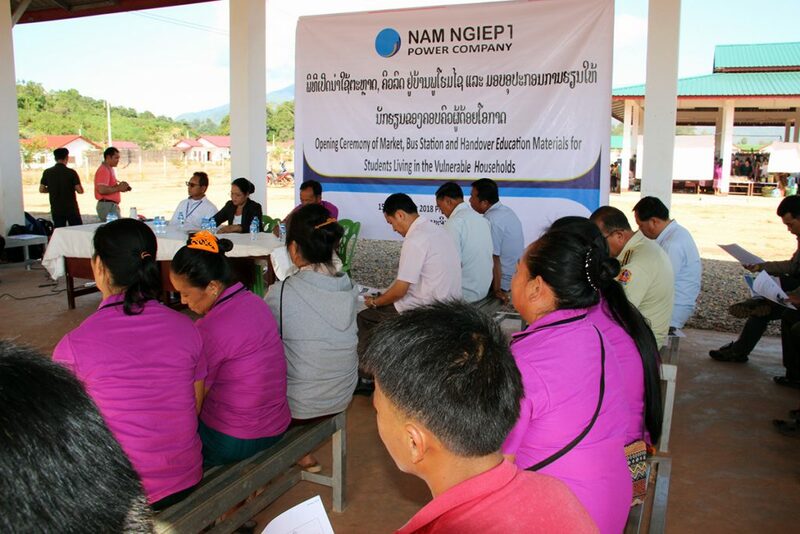 On 15 November 2018, an opening ceremony of a market building and a bus station was held at Phouhomxay Resettlement Village, Bolikhan District, Bolikhamxay Province, Laos in order to create market opportunities for Project Affected People (PAP) and improve their living conditions. 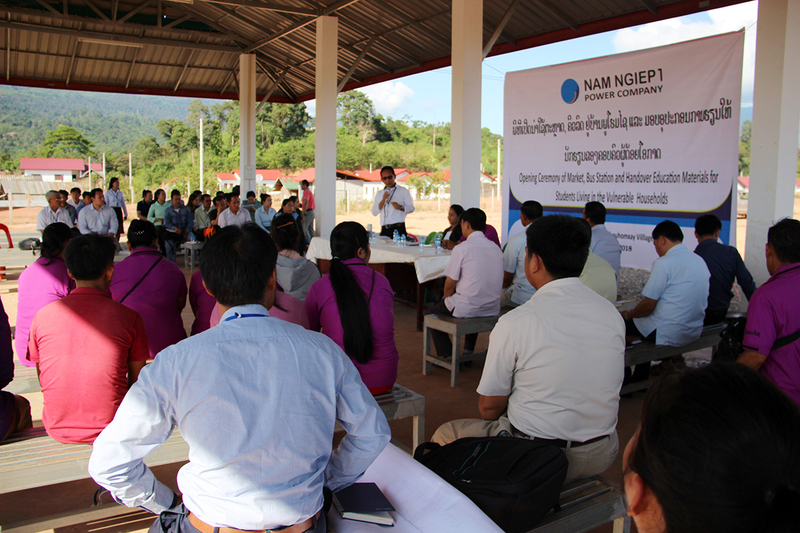 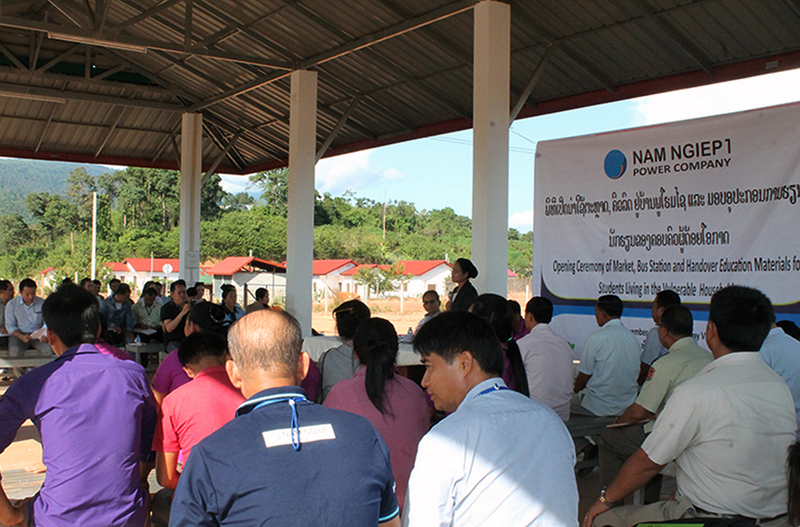 These facilities are ones of the commitments made by Nam Ngiep Power Company Limited to PAP. 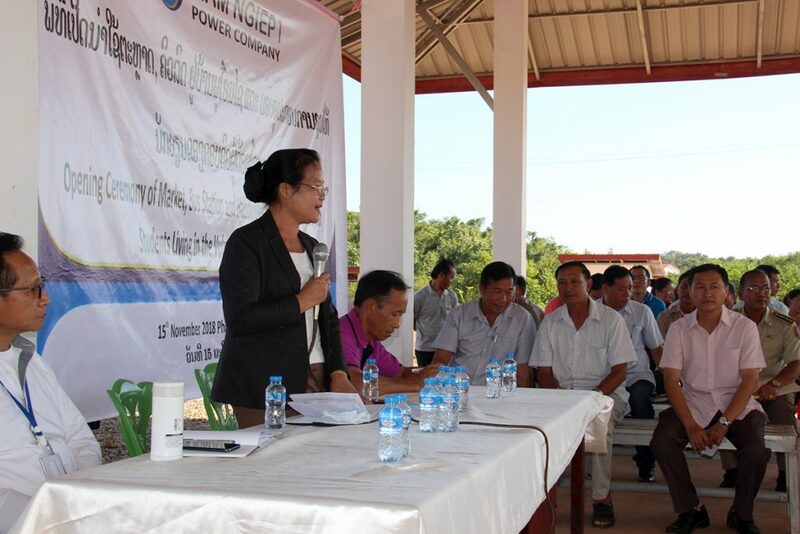 The ceremony was attended by Mrs. Valy Southavong, Deputy Secretary of Bolikhan District party, Head of District committee, representatives from the Bolikhan District, village authorities and villagers from Phouhomxay and surrounding villages. 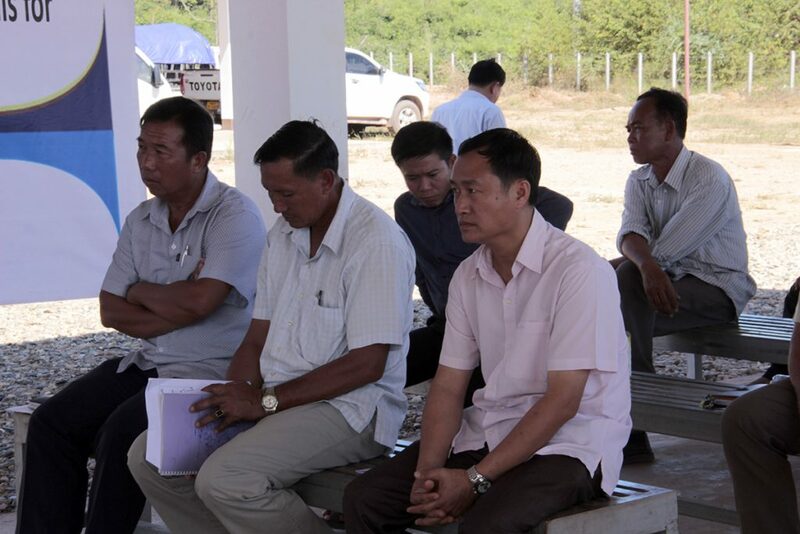 The construction of a 16-by-20-meter market building and 16-by-6 meter bus station began in early November 2017 was completed in late January 2018 and cost 864,000,000 kip. 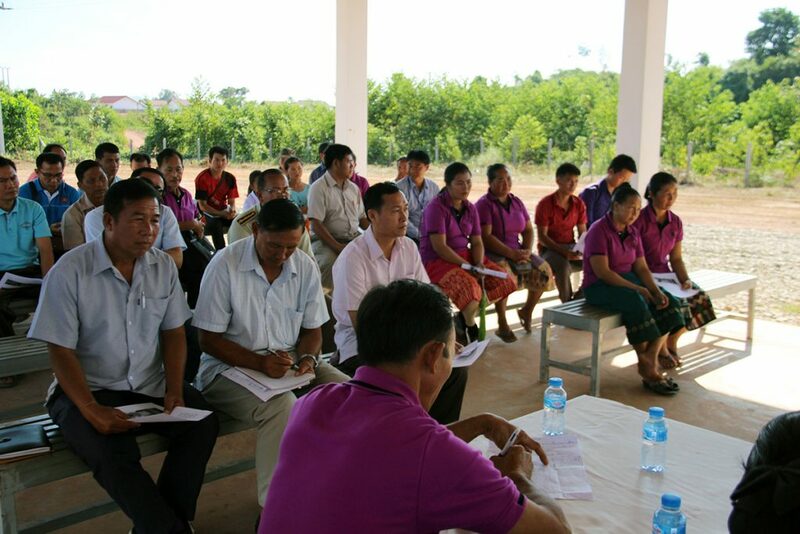 The 7,000 square meter facilities also include toilets and garbage collection area. 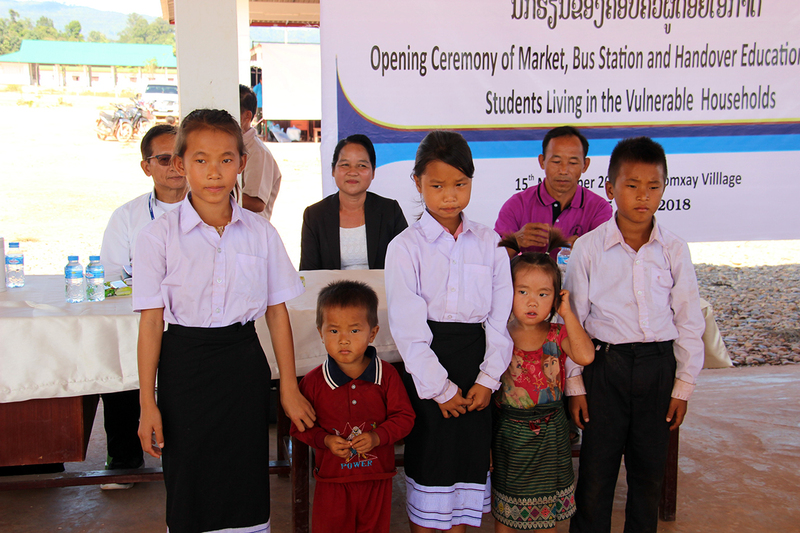 At the ceremony, there was also handover of educational materials such as students’ uniforms, shoes, bags and stationeries to six vulnerable students. 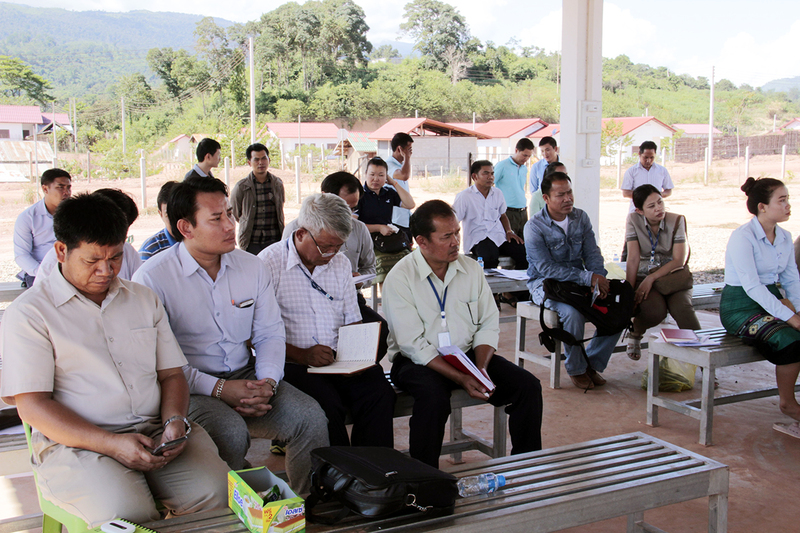 After the ceremony, the delegates and participants visited the market to look at goods on sales and bought some items.